Supergirl Season 2 to Introduce These 2 Iconic DC Characters? After both CBS' Supergirl and The CW's The Flash teamed up for an unprecedented crossover episode this past spring, rumors started to surface that Supergirl would join the rest of the DC shows on The CW like Arrow and Legends of Tomorrow. Those rumors were confirmed in May, with The CW renewing Supergirl for Season 2, keeping the show in its same Monday 8 PM time slot that it aired in over at CBS. While we'll surely find out much more about this highly-anticipated season later this week at Comic-Con, a new rumor has surfaced which claims the show is adding two more iconic characters from the comics. While this report has yet to be confirmed by The CW, Bleeding Cool reveals that Kathy/Kate Kane, a.k.a. Batwoman, will have a recurring role in Supergirl Season 2. This report reveals that Katie Kane will be the ex-girlfriend of Maggie Sawyer, who was one of the first openly gay comic book characters when she was introduced in 1987. The CW recently cast actress Floriana Lima as Maggie Sawyer for Season 2. This report reveals that Kathy/Kate's Batwoman adventures will frequently take her into National City. The other major character reportedly debuting this season is Barbara Gordon, who will largely appear as the Oracle, and not her other alter-ego, Batgirl. This report claims that Barbara will strike up a close relationship with Kara Zor-El (Melissa Benoist). The Oracle will also develop a relationship with Batwoman, which is said to be modeled after the "Chuck Dixon-era Birds of Prey," except Kathy/Kate will be the operative this time around, instead of Dinah. It isn't known who has been cast as Batwoman and The Oracle quite yet, but perhaps we'll find out more at Comic-Con this week. Whoever takes these roles will join a growing cast that includes Lynda Carter as the U.S. President, and Tyler Hoechlin as Kara's famous cousin, Superman. Season 2 has been given a premiere date of Monday, October 10 at 8 PM ET. 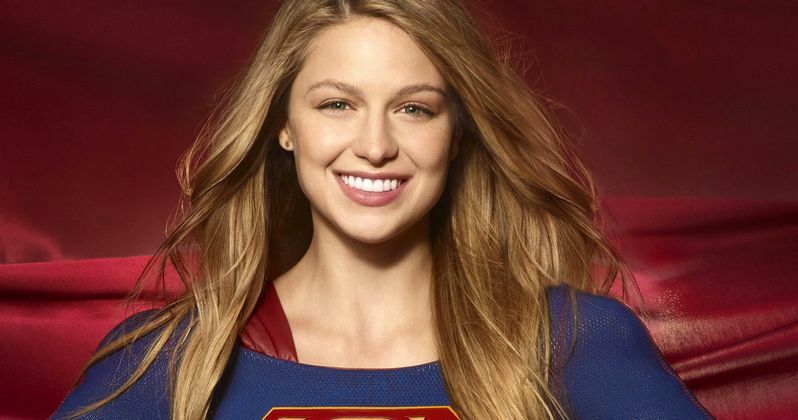 Supergirl will now anchor the network's superhero lineup which will span four nights. Supergirl is set to retain its Monday 8 PM timeslot on The CW, with The Flash following on Tuesdays at 8 PM, Arrow on Wednesdays at 8 PM and Legends of Tomorrow on Thursdays at 8 PM. There has been talk of another massive crossover episodes between all four shows, and hopefully we'll hear more on that epic crossover during Comic-Con. Stay tuned for more on Supergirl and the rest of The CW's superhero shows.